Information: Richard Crosby "Rickey" Holden (1926-2017), organizer, author, caller of square and round dance, and teacher of folk dance. Rickey was born on October 15, 1926. He was a square and folk dance teacher, researcher, caller, record producer, and author. Rickey is the man who first taught recreational international folk dancing in places such as Borneo, Brunei, Cambodia, Cyprus, Greece, Hong Kong, India, Indonesia, Iran, Iraq, israel, Japan, Jordan, Korea, Laos, Lebanon, Malaysia, Nepal, Pakistan, Philippines, Singapore, Sri-Lanka, Taiwan, Thailand, and Vietnam. 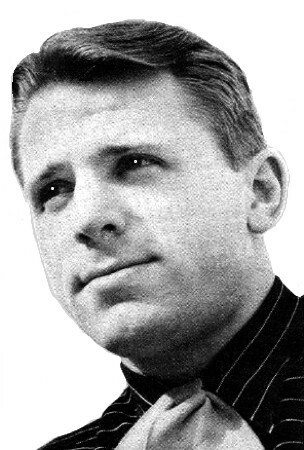 Rickey was largely responsible for spreading recreational international folk dancing throughout Europe and Asia, although he was quick to point out those teachers who preceded him in such countries as Japan (Warren Nibro and Larry & Joanne Keithley) and Scandinavia (Gordon Tracie  Seattle and Anita Ryman  Stockholm). Rickey learned ballroom dance in Austin Texas in 1935 and 1936. He started Square and Contra dancing in Vermont in 1939. Ricky graduated from Newton High School in Newtonville, Massachusetts, in 1943. From 1943 to 1946, while at Tufts University, he started attending Ralph Page's Clarendon Street YWCA Tuesday-night dances in Boston, Massachusetts, and the Intercollegiate Outing Club Association (IOCA) dances with Al Smith. Beginning in 1946, he traveled around the country for two years, picking up various square dancing styles. In the spring of 1948, while stopping in San Antonio, Texas, he met the head of the San Antonio Recreation Department (SARD) and accepted a square dance teaching summer job, which led to his position as square dance "consultant." It was in one of these classes that he met Marti, whom he was later married until her death in February of 1964. Rickey, who became known as the "Texas Whirlwind," was invited to teach at the Oglebay Institute folk dance camp in Wheeling, West Virginia. He has taught at several camps, including Stockton Folk Dance Camp in the 1940s and Idyllwild Folk Dance Workshop in 1959. Rickey also taught at many institutes, including Shirley Karsner's Kentucky Dance Institutes and others, such as those in Connecticut (run by Al Brundage), Indiana (run by Ray), New Jersey (run by Frank Kaltman), Minnesota (run by Lynn Woodward), and Texas (run by Rickey himself). Rickey formed the Alamo Teens exhibition set that danced West Texas step and style. From this group came the dance "Cotton-eyed Joe with a Do Si Do." After World War II, Frank Kaltman and Dan Wolfert started Folkraft Records in Newark, New Jersey in 1946. Rickey connected with the company in 1951, but continued his professional square dance calling profession throughout North America. He worked full-time for SARD from 1948 to 1952 and also toured as a square dance caller. Beginning in 1950, he conducted the square dance sequence of the weekly "Hoffman Hayride" television show for WOAI-TV, the first TV station in San Antonio, Texas. He also began writing a weekly column on square dancing for the San Antonio Evening News. During 1951, he was chosen to go to New York as caller for the square dancing portion of one of the big productions the famous Rockettes staged in Radio City's Music Hall. From 1952 to 1956, he edited and published American Squares magazine. In 1956 and 1957, Rickey toured the Caribbean and Central America, teaching square dance and international folk dance. The International Recreation Association (IRA) arranged for Rickey to tour Far East, Near East, Mediterranian, and European countries in 1957 and 1958. Rickey taught in 80 countries. In December 1964, Rickey joined Frank Kaltman as Associate Director of Folkraft in Newark, New Jersey, and so remained until until 1967, when he moved to Brussels, Belgium, as Director of Folkraft-Europe. In 1975, Folkraft-Europe cooperated in the organization of international folk dance and folk arts Seminars throughout Europe  from Scandinavia to Iberia and Anatolia. Much more than academic study tours, these programs provided real folklore "experiences." In July 1969, Rickey married Marcelle in San Antonio. Rickey and Marcelle continue to use Brussels as their home and base of operations. Rickey had two children, Tor and Cindy. Rickey wrote on October 10, 2010, "The magazine American Squares was started by Charley Thomas (of the Camden, New Jersey, area) about September 1945(?). At that time Charley was buying and selling books and records (mostly limited to square and contra dance material). About 1951, Frank Kaltman and I bought Charley's operation. I took over editing and and publishing the magazine in San Antonio, Texas, and, later, in Arden (near Wilmington), Delaware. Frank and I drove a truck from Newark down to Charley's house, packed up all his stock of books and records, and drove to Newark, New Jersey, unloaded it all to Folkraft (then at 1159 Broad Street in Newark), whence Frank then handled all sales. When I started world traveling, I could no longer run the magazine, so Frank hired Rod LaFarge to edit it  which Rod did from v11n11 (July, 1958) to v15n1 (September 1959)." Rickey was also an expert on the theory of calling ("The Square Dance Caller" 1951), contras ("The Contra Dance Book" 1955), and the "learning by doing" method of teaching folk dance without words." Rickey passed away on December 19, 2017. Holden, R. Everybody Swing, Everybody Dance. Newark NJ: Folkraft Records. Holden, R. Folk dance Text: Polka, Waltz, Kolo, Syrto, Square. n/d: NARJ. The Square Dance Dictionary. Rickey Holden. Unpublished manuscript. Holden, R. (19??). Dance text: folk, contra and square). Japan: National Recreation Association of Japan. Holden, R. (19??). Rickey Holden The Texas Whirlwind, calling Square Dances in Alamo Style. n/p: Folkraft. Holden, R. (1949). Square Dancing Texas Style: A Guide to the Perplexed. n/p: Folkraft Records. Holden, R. (1953). Collection of Couple Dances. San Antonio, TX: MS.
Holden, R. (1956~). Various catalogs and descriptions, such as Assyrian Folk Dances, Bulgarian Folk Dances, Dances of Central Serbia, Dances of East Serbia, Greek Folk Dances, Hungarian Folk Dances, Macedonian Folk Dances. Holden, R. (1959). Folk dance Text. Japan: National Recreation Association of Japan. Holden, R. (1959 July). The square dancer: Special Rickey Holden number (Vol. Vo.1 No.9). West Bridgford, Nottingham: Slimatkin. Holden, R. (1959 November). The square dancer (Vol. Vo.2 NO.1). West Bridgford, Nottingham: Slimatkin. Holden, R. (1959 September). The square dancer (Vol. Vo.1 No.11). West Bridgford, Nottingham: Slimatkin. Holden, R. (1960). International Folk Dances for Fun & Recreation. Singapore: Chinese Y.M.C.A. Holden, R. (1961). Rhytmic activities for fun and recreation. Gwalior, India: Lakshimibai College of Physical Education. Holden, R. (1962). Descriptions of 58 Israeli Folk Dances. Tel Aviv, Israel: Rickey Holden. Holden, R. (1962). Notes on Turkish folk dances. Niccosia, Cyprus, Ankara, Turkey. Holden, R. (1964). A Dance Notation System Developed in Romania by Vera Proca-Ciortea, explanation and commentary, Newark (New Jersey), U.S.A.
Holden, R. (1965). Greek Folk Dances, LP-3. Newark, N.J.: Folkraft Press. Holden, R. & Boxell, D. (19??). Bulgarian Folk Dances. Newark, NJ: Folkraft. Holden, R. & Boxell, D. (1964). "Ajde Lepa Maro: A Serbian Dance from the Area of Šumadija," Viltis, XXIV, No. 4 (1964), 8. Holden, R. & Boxell, D. (1965). "Šumadinka: A Serbian Dance from Šumadija," Viltis, XXIV, No. 4 1965, 8. Holden, R. & Boxell, D. (1960). "Two Slovenian Dances: Koutri and Źakli," Viltis, XXIV, No. 6 1960, 12. Holden, R., Djordjevic, D.; Janković, L.; Jankovic, D. S.; Meandzija, M.; & Qvamme, B. (1982). Dances of Central Serbia (Sumadija and Pomoravlje). Brussels: Folkraft. Holden, R., Djordjevic, D.; Janković, L.; Jankovic, D. S.; Meandzija, M.; & Qvamme, B. (1982). Dances of East Serbia. Brussels: Folkraft. Holden, R., Kaltman, F.; & Kulbitsky, O. (1956). The Contra Dance Book. Newark, NJ: American Squares. Holden, R., Kaltman, F.; & Kulbitsky, O. (1997). The Contra Dance Book: A Reprint of the 1956 Edition. Lovendegem, Belgium: Anglo-American Dance. Rickey Holden. Snapshot Analysis. Unpublished manuscript. Continues the theoretical aspects of Instant Hash. Holden, R. & Litman, L. (1961). Instant Hash: An advanced text on modern square dance figures with over 230 practical examples. Cleveland, OH: Lloyd Litman. The book which introduced snapshot analysis and the terms getout, zero movement, box formation, etc. (Note by Rickey Holden.) Unpublished sequel: Snapshot Analysis. Holden, R. & McCutchan, R. a. Z. (1951, 1950). The Square dance caller. Medina, TX: Self-published. Holden, R. & Palfi, C. (1970). Hungarian Folk Dances. n/p: Folkcraft. Holden, R. & Palfi, C. (1970). Hungarian Folk Dances (LP-28). Newark, NJ: Folkraft. Holden, R. & Palfi, C. (1970). Hungarian Folk Dances (LP-29). n/p: Folkraft. Holden, R. & Palfi, C. (1975). Hungarian Folk Dances, v.3 (LP-37) (Vol. 3). Brussels: Folkraft Europe. Holden, R. Reynolds, W. C.; & Palfi, C. (1977). Syllabus for the Hungarian Folk Dance Seminar Held in Sarospatak, Hungary. Brussels: Folkrdaft-Europe. Holden, R. & Shemiran Assyrian Folklore Group. (1983). Assyrian Folk Dances. San Antonio, TX: Folkraft Records. Holden, R. Swets, W.; & Kolarovski, A. (1965). Macedonian Folk Dances Vol. I LP-15. Newark NJ: Folkraft. Holden, R. Swets, W.; & Kolarovski, A. (1965). Macedonian Folk Dances Vol. II LP-24. Newark NJ: Folkraft. Holden, R. Swets, W.; & Kolarovski, A. (1965). Macedonian Folk Dances Vol. III LP-25. Newark NJ: Folkraft. Holden, R. & Vouras, M. (1965). Greek folk dances (1st ed.). Newark, NJ: Folkraft Press (1965). Holden, R. & Vouras, M. (1965). Greek Folk Dances Volume II. Newark, N.J.: Folkraft Press. Holden, R. & Vouras, M. (1965). Greek folk dances, Volume III. Newark, N.J.,: Folkraft Press. Holden, R. & Vouras, M. (1965, 1976). Greek folk dances (1st edition, 3d printing ed.). Newark, NJ: Folkraft Press. Holden, R. Square dances of West Texas. A bit of history, the structure, the figures, and the legacy of Bob Sumrall. Holden, Rickey. Austin, Texas: Society of Folk Dance Historians, 1992. 1926  Born in New York. His family was from Texas, and he lived in both Texas and New York as a youth. 1936  Learned ballroom dance in Austin Texas. 1941  Started contra dance in Boston. 1948  Started square dance in Pennsylvania. 1943-1946  Did contra, square, and folk dance recreationally in Boston throughout college. 1947  Rickey hitch-hiked through all 48 states, square dancing where he could find it, and wrote a book about the dances he saw. 1948  Did another trip and got a summer job calling squares for the San Antonio Recreation Department (SARD). 1948  Went to his first international folk dance camp at Oglebay. 1948-1954  Continued working full-time for SARD, and toured as a square dance caller during the summers. 1952 to 1956  Edited and published American Squares magazine. 1954-1956  Published "American Squares" magazine. 1956-1957  Twice toured Central America and the Caribbean teaching square dance where people spoke English, and international folk dance where they didn't. During the second tour, in Cuba, a man invited him to Japan. 1957  Called squares for the International Recreation Association (IRA), and the IRA arranged a schedule for him in addition to Japan: Taiwan, Hong Kong, Manila, Singapore, Malaysia, India, Thailand, Vietnam, Laos. Rickey repeated the tour later, spending a month in Hong Kong. 1957  Called at International Recreation Association, with some support from the American Specialist Program of the United States State Department. 1964  Joined Frank Kaltman as Associate Director of Folkraft in Newark, New Jersey. 1967  Moved to Brussels, Belgium as Director of Folkraft-Europe. 1969  Married Marcelle in San Antonio. 1993  Cross-reference information is recorded only in the Society of Folk Dance Historians archives, on three cassette tapes of interviews. Folkraft Recording Company, a list.